What began in the U.S. has lit the world on fire. 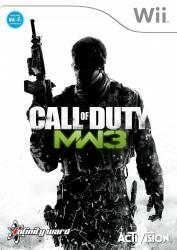 Now in World War III, only the stakes match the firepower, and stopping this ever-escalating global conflict will take players on a cinematic thrill-ride as only Call of Duty can deliver. Killstreaks have been redesigned to reward different play styles and skill levels through unique Strike Packages. Completing game mode objectives now counts towards your Pointstreak progression. For the first time ever, kills are not the only way to earn Pointstreaks.